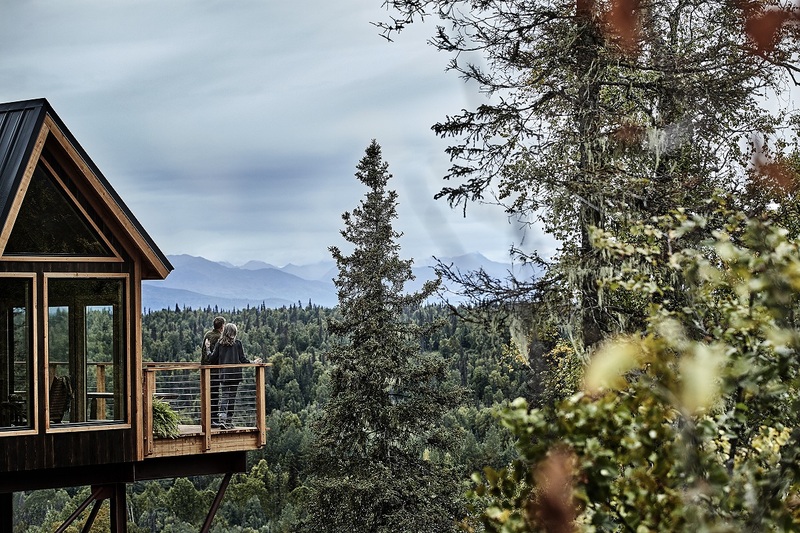 The treehouse, which is around the size of a studio apartment, is the first of its kind in Alaska and offers panoramic views of Denali – home to North America’s highest peak – as well as space for various themed activities. It has been developed as part of Princess’ partnership with the Discovery Channel and was recently shown being built on Animal Planet TV show, Treehouse Masters. Visitors will have the opportunity to meet world record holding mountain climber and author, Todd Huston, who will give an account of the first successful ascent of Denali. Guests can then explore the area’s local trails for themselves, ending their journey with hot chocolate and doughnuts at the treehouse. Or you could indulge your sweet tooth at ‘Sappy Hour’, which will offer guests a rare sample of birch syrups and other tree-inspired products that are taken from local spruce and birch. Lisa Syme, Princess Cruises’ vice president of product management, said: “At destinations around the globe we strive to create a bond between our guests and the places we visit, and now more than ever people are visiting Alaska to experience the beauty and adventure the state has to offer. Princess Cruises has seven ships in Alaska this year, travelling from April to September, offering guests ample opportunity to visit this treehouse with a difference. Guests can explore Alaska with Princess Cruises as part of a 10-15 day combined voyage and pre-or-post-sailing ‘cruise tour’. A 10-night Denali Explorer, beginning in Fairbanks and visiting Denali, including a cruise from Anchorage to Vancouver, is available with flights from £2,458 per person. Departing 5th September 2018, ports of call include Hubbard Glacier (scenic cruising), Glacier Bay National Park (scenic cruising), Skagway, Juneau and Ketchikan. To book visit www.princess.com, call 0344 338 8663 or contact your local travel agent.